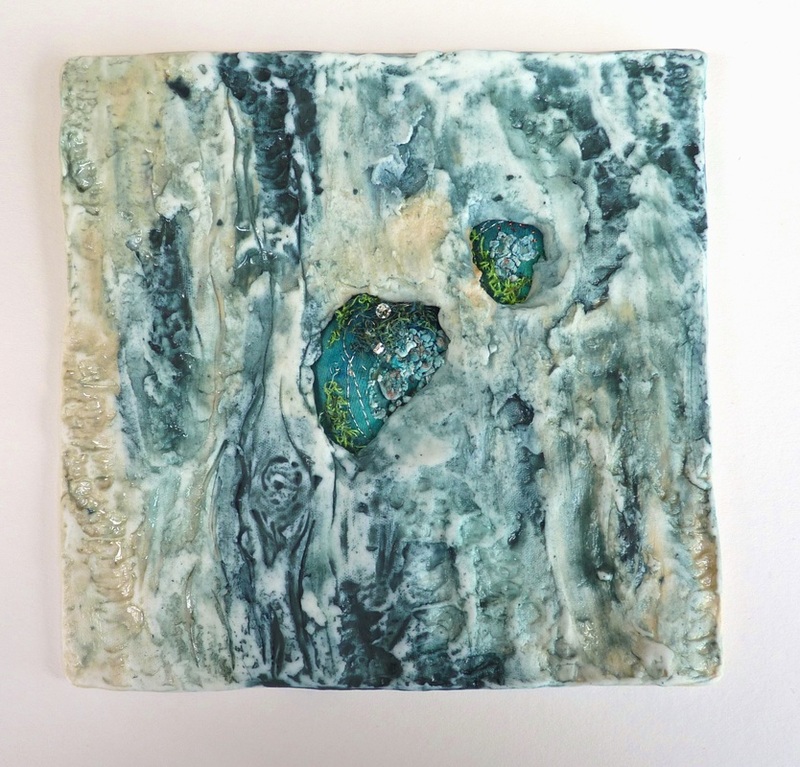 My most recent work involves mixed media techniques including ceramics, textiles, glass and metals. Each piece is a unique artwork inspired by textures found in nature, and the juxtaposition of materials such as delicate ferns and hard rocks. The examples shown here include sculptural ceramic work combined with textile techniques, including hand and machine embroidery, felting and beadwork. These pieces are framed and signed ready to hang on your wall.